Pet Memorial Keepsake invites you to delve into our extensive collection of hundreds of breeds of which includes dogs, cats, horses and birds. We offer you the ability to customize, as a tribute, to your beloved pet in their past or present. Our pet memorial keepsakes are resin-cast, hand-painted figurines that will give you a one-of-a-kind memorial worthy of your pet’s memory as a result. They will capture the timeless memory of your pet at home and or in your office, as you are able to keep your fondest memories close at hand. Because you have a variety of ways to customize your keepsake, it will be like no other, just as you remember your cherished companion. These pet memorial keepsake displays also make wonderful gifts for that pet lover family member or a friend in your life. Pet Memorial Keepsake continues to add new products that will keep your cherished loved pet close to your heart passed or present. 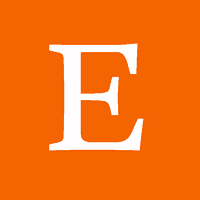 Click on the "E" to view our products. All shipping costs to you are included in your purchase price. The shipping of a Pet Memorial Keepsake “collection kit” to safely & securely mail back your pet’s remains, as well as the shipment of your completed pet memorial keepsake. These inclusive shipments represent a $75 value. Pet Memorial Keepsake will become your customized, handcrafted display that you design to capture the likeness of your pet. When you choose your companions category of breeds, your design will then be personalized and preserved with your choice of your pet’s ashes, hair, feathers or whiskers. The choice of your companion’s remains will then be preserved and permanently sealed into a glass cylinder also referred to as the reliquary. We will continue you through the process of then selecting your options of either pewter or brass lettering of their name that will coordinate with the end caps of the glass cylinder (the reliquary). There are other options available to add to the building of your Pet Memorial Keepsake such as Swarovski crystals on the first and end of each letter that spells out the name. When you finish your selected choices and options, it will then be designed by one of our artisans onto your choice of the Sequoia wood base or encased into the glass domed paperweight. As a result, it will become a cherished pet memorial keepsake that was selected and designed by you as a treasured memento of your beloved pet of the present or of their passing. Due to the large quantity of options, the figurines used for creating your customized one-of-a-kind Pet Memorial Keepsake are arranged in categories. Choose between Dogs, Cats, Horses and Exotic Birds breeds. The Pet Memorial Keepsakes figurines come in two sizes. cat and dog memorial keepsake figurines are available in both large & small memorial keepsake sizes. The horse and exotic bird memorial keepsake figurines are available only in large. Bear that in mind when you start building your pet memorial keepsake. An important part of the customized finishing process for your Pet’s Keepsake is selecting the metallic finish we use for either your figurine or the paperweight to finish your piece. You can choose between pewter and brass. We will use your selection to spell out your pet’s name and for the end caps of the clear glass containment tube, known as the reliquary. The next step, for an additional fee, is the option to add jeweled Swarovski crystals on each end of the letter blocks used to spell out your pet’s name. For an additional fee, we can more closely match your pet’s appearance. All you need do is upload a detailed photo and our artisans will use that to handcraft a figurine that most closely resembles your precious pet. Please note this customization requires more time. This last step, to the creation of your Pet Memorial Keepsake, is the most crucial. You will be asked to agree to our collection process. We will send you a collection kit with detailed instructions to mail back the pre-paid return USPS Priority envelope containing your beloved pet’s reliquary contents. Step 1 Due to the large quantity of options, the figurines used for creating your customized one-of-a-kind Pet Memorial Keepsake are arranged in categories. Choose between Dogs, Cats, Horses and Exotic Birds breeds. Step 2 The Pet Memorial Keepsakes figurines come in two sizes. cat and dog memorial keepsake figurines are available in both large & small memorial keepsake sizes. The horse and exotic bird memorial keepsake figurines are available only in large. Bear that in mind when you start building your pet memorial keepsake. Step 3 This is an option to have a treasured keepsake of your non-specific, mixed breed. This pet memorial keepsake display’s a transparent glass encasement that only allows for the reliquary containment of hair, ashes, whiskers or feathers along with your pet’s name. You may want to consider including this as well for your desk and or office. You will have a choice of a white or black background for the paperweight keepsakes. Step 4 An important part of the customized finishing process for your Pet’s Keepsake is selecting the metallic finish we use for either your figurine or the paperweight to finish your piece. You can choose between pewter and brass. We will use your selection to spell out your pet’s name and for the end caps of the clear glass containment tube, known as the reliquary. Step 6 The next step, for an additional fee, is the option to add jeweled Swarovski crystals on each end of the letter blocks used to spell out your pet’s name. Step 7 For an additional fee, we can more closely match your pet’s appearance. All you need do is upload a detailed photo and our artisans will use that to handcraft a figurine that most closely resembles your precious pet. Please note this customization requires more time. This last step You will be asked to agree to our collection process. We will send you a collection kit with detailed instructions to mail back the pre-paid return USPS Priority envelope containing your beloved pet’s reliquary contents. Please take a moment to review our reliquary collection process. You have two options to choose from. The first is an illustrated, how to order, infographic. The second option is a written description (text version) of the collection process. 1. Upon completion of your online order, for your Pet Memorial Keepsake, each order receives a confirmation email with a unique order number, to track your order’s progress. 2. Shortly after you place your order, our studio will send you a pre-paid easy-to-use “collection kit”. The kit will include simple and easy to follow instructions, with everything you will need to safely return the indicated amount of relic contents back to our studio. 3. Your finished pet memorial keepsake will ship via USPS Priority Mail back to you approximately 4-6 weeks after we receive the return portion of the collection kit, containing the required reliquary. All Pet Memorial Keepsakes are packaged with the upmost care, insured and include tracking information. Any unused portions of your pet’s ashes, hair, feathers or whiskers will always be returned to you with your finished piece. Scroll down to choose the category that best describes your pet. Only the Dogs and Cats have the option to create a large or small Pet Memorial Keepsake, you will then be able to narrow down your selection to a specific breed. Choose from the Pet Memorial Keepsake categories below. Once you choose the category, you will be prompted to choose from the breed that closest resembles your pet. The dog category offers choices for either a large or small Pet Memorial Keepsake. They are constructed of resin-cast, hand-painted figurines, representing hundreds of dog breeds and color combinations, from Afghans to Yorkshire Terriers. The cat category offers options for both a large or small Pet Memorial Keepsake. They’ are constructed of resin-cast, hand-painted figurines, depicting their majestic, proud demeanor with 47 breeds & color combinations, from Calico to Tabby. The horse category is only available in the large sized Pet Memorial Keepsake. Constructed of resin-cast hand painted figurines of which are positioned standing, running, walking or rearing up. Each one is available in the most popular breeds and colors. The bird category is the latest addition to our Pet Memorial Keepsake collection. They are constructed of resin-cast, hand painted figurines with meticulous details that make each one of museum quality. This category is limited to a smaller number of species. The dog category offers both large and small pet memorial keepsakes. They are constructed of resin-cast, hand-painted figurines, representing hundreds of dog breeds and color combinations, from Afghans to Yorkers. The cat category offers both large and small pet memorial keepsakes. They are constructed of resin-cast, hand-painted figurines, depicting their majestic, proud demeanor that has 47 breeds and color combinations, from Calico to Tabby. The horse category is only available in the large size. They are constructed of resin-cast hand painted figurines of which are positioned standing, running, walking or rearing up. They are available in the most popular breeds and colors, to offer the best options for customization. Paperweight Keepsakes are non-breed specific round glass domed displays. These memorial keepsakes measure 3 inches in diameter with a heavy, solid feel. Inside the encased dome is a glass cylinder encapsulating your memento. The ends of the cylinder and letters will match with the choosing of either Pewter or Brass metallic finishes. Your Pet Memorial Keepsake is one-of-a-kind. If you don’t see a breed that resembles your pet’s. We Meticulously Inspect Every Single Item Before It Leaves Our Facility and Ensure That All Products. Keep Your Memories Safe. “My husband and I love our cats like others love their children, so when one of them passed we were devastated but still wanted to remember her in a special way. I came across Karen and her pet memorial keepsakes while searching for that ‘special way’. We love looking at our pet memorial and remembering out little spitfire. I was inspired to create something tangible for my family to cherish as a keepsake to commemorate the passing of our pet family members. It became clear to me with much research that there weren’t many options to choose from that offered the ability to create a customized display of any pet member of the present or of their passing. That’s when I developed Pet Memorial Keepsake. It was of importance that as a result of our product offerings that you would then have your customized finished display, that would have the ability to pay tribute to that vital connection that we all share as pet parents. Pet Memorial Keepsake is proud to give you numerous choices that together we can create your customized memento “Forever Remembered” keepsake. Click the link to contact us for any questions you may have regarding the process or customization of a pet memorial keepsake. 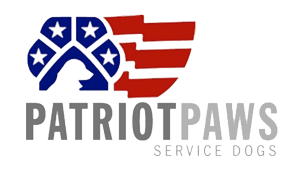 Pet Memorial Keepsake is an advocate of all animal shelters and a proud donor to the Patriot Paws Service Dogs Organization. A portion of the proceeds from the sale of each Pet Memorial Keepsake, is donated to HELP our veterans with their recoveries from injuries sustained while serving. It is their sacrifice that allows us all our continued freedom.